Hall, King, Lynn and McMullen counties held Democratic runoff elections but no one voted. Each county only had one Democratic matchup on their ballots: the gubernatorial race between Lupe Valdez and Andrew White. Voter turnout in Tuesday’s runoffs was abysmal. 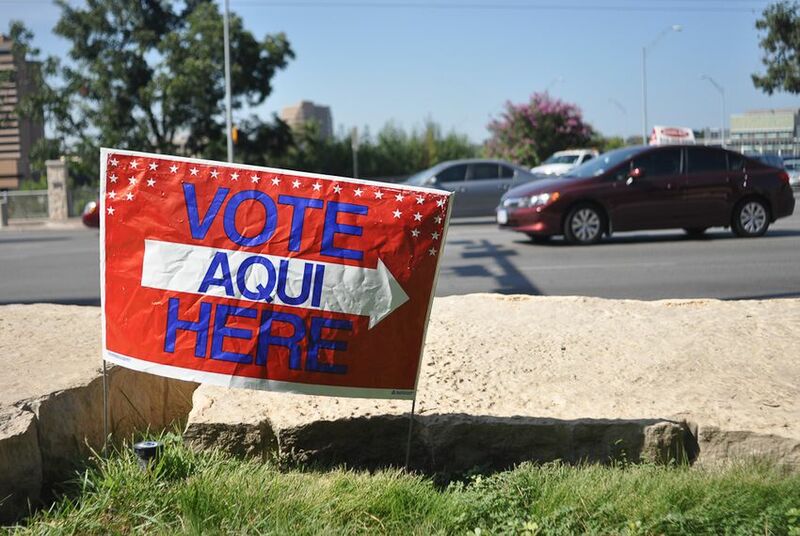 Fewer than 450,000 Texans cast ballots in the race, compared to 1 million that voted in the Democratic primary. That trend was particularly clear in four small, rural counties – King, Lynn and Hall counties in Northwest Texas and McMullen County in South Texas – where not a single person voted in the Democratic runoffs. Each county had only one matchup on their May 22 ballots: the gubernatorial race between former Dallas County sheriff Lupe Valdez and Houston businessman Andrew White. The same thing happened in Hall, King and Lynn counties — all of which are also Republican-leaning. But the fact that no one came to cast a ballot in these small towns wasn’t a shock to all local officials. “It’s typical that people don’t show up to the polls on runoff election days,” said Jammye Timmons, the county and district clerk for King County. Turnout for the runoffs was always expected to be low: Just 16 percent of the eligible voting population cast a ballot for the March 6 primaries, and typically half of the voters who cast a ballot in the primaries show up to a subsequent runoff. During the March 6 primaries, vote totals for Hall, King, Lynn and McMullen counties were also low. Here's the number of people who cast a ballot for governor in either of the Republican or Democratic primaries in March: 448 in Hall County, 61 in King County, 985 in Lynn County and 153 in McMullen County. Republicans overwhelmingly outvoted Democrats in all four counties, according to state records. In Sterling County, which has a population of roughly 1,000, only nine people cast a ballot in a runoff election, according to Sonya Venzor, the county’s deputy clerk: two early voters, three election day voters and four who cast mail-in ballots. Sterling County had two runoff races: the Democratic gubernatorial match up between Valdez and White and a Republican race for Justice of the 3rd Court of Appeals. Venzor said all nine ballots cast were in the Republican runoff. Sam Taylor, a spokesman with the Texas Secretary of State, said his office was not aware of any counties that did not hold a Democratic primary runoff election. He added that it’s normal for counties to have no runoffs on the Republican side because races only go to a runoff if no candidate in a primary receives at least 50 percent of the votes plus at least one additional vote. In 2012, when a Republican fight for an open U.S. Senate seat led to a runoff between Ted Cruz and David Dewhurst, two rural Texas counties – Sterling and Oldham – opted to not hold runoffs at all, despite having hosted the primaries weeks earlier. The Texas Secretary of State's office said at the time that those counties had violated the Election Code.